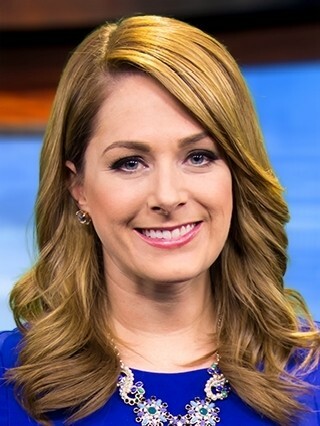 Megan O’Rourke joined ABC22/FOX45 in March 2016 as morning anchor. Megan grew up in Greene County and graduated from Xenia High School. She went on to attend Miami University where she earned a Bachelor of Science in Mass Communications. After graduation in 2003, she took her first job at KIDK in Idaho Falls, Idaho. Following the stint out west, Megan returned home and worked as an anchor and reporter for nine years in the Dayton market. In 2014 she left for FOX19 in Cincinnati, but when given the chance to return home to the Miami Valley she jumped on the opportunity. Some of Megan’s most memorable stories include covering numerous Presidential elections, Hurricane Ike’s windstorm in 2008 and Pope Francis’ first visit to the U.S. in 2015. When not at work Megan enjoys spending time on her family farm, finding new hiking trails to explore and traveling. You can catch Megan during the week from 4:30 a.m. to 7a.m. on ABC22 and from 7a.m. to 9 a.m. on FOX45.